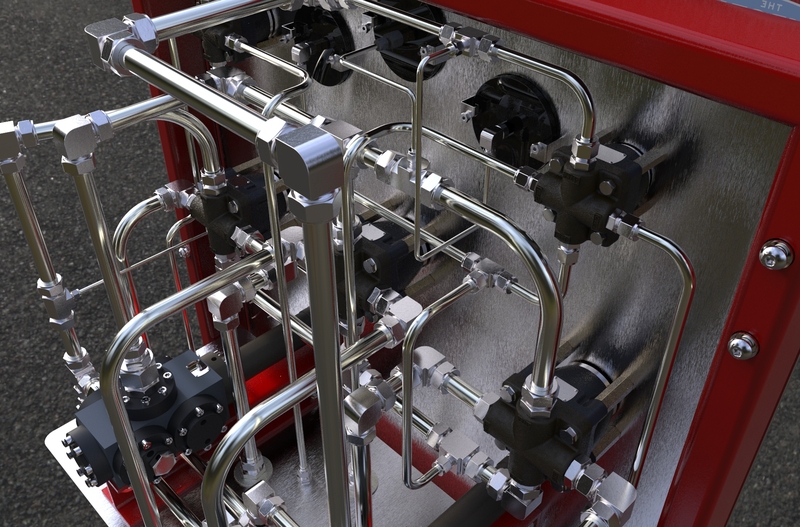 Our Hotline Control Panel uses only name brand components and is engineered for a safe and reliable hydraulic testing. The Subsea design is built for long-lasting durability and offers tremendous visual aids to make the process quick, easy and safe. 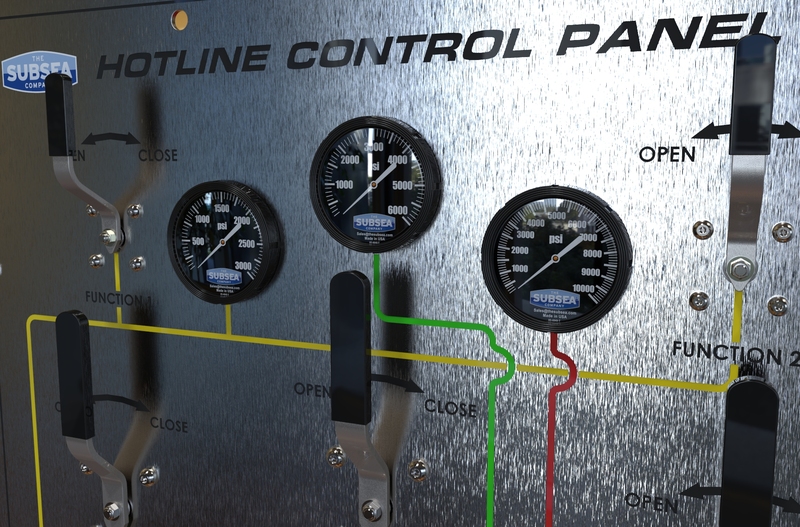 The Hotline Control Panel is engineered to provide thorough testing of the hydraulic components and systems that utilize available rig hydraulic sources up to 5,000 PSI. 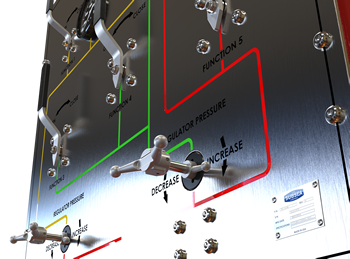 The rig’s HPU feeds the Subsea Hotline Control Panel, which provides fluid to three hydraulic circuits for testing purposes. 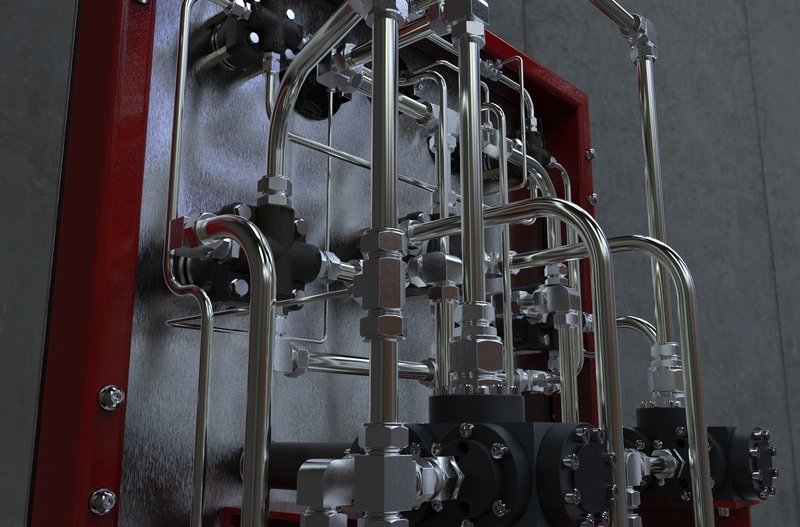 For reliability, the low and medium pressure regulated circuits can be adjusted and the unregulated circuit is at full supply pressure. 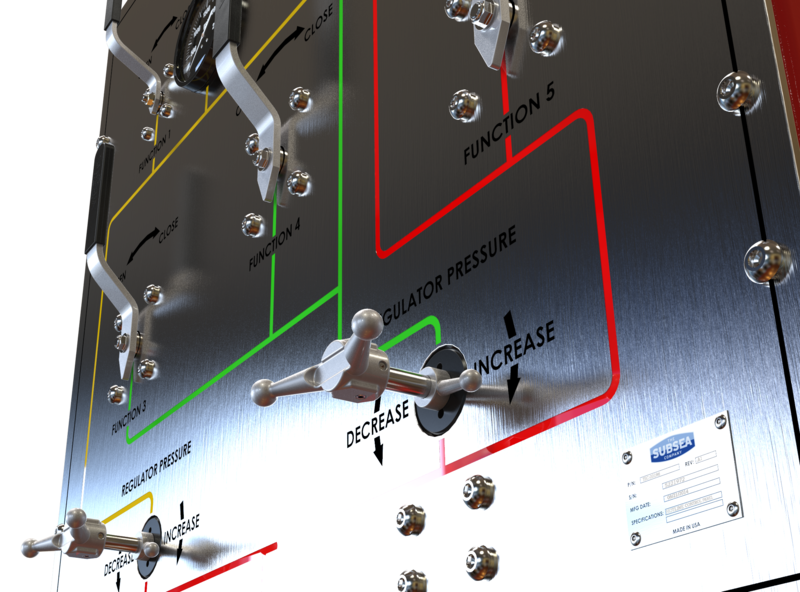 Testing pressure is viewed on a Subsea certified pressure gauge, which is individually calibrated, hydrostatically tested and certified for deep-water use. You deserve the confidence knowing that your initial deployment will be successful. 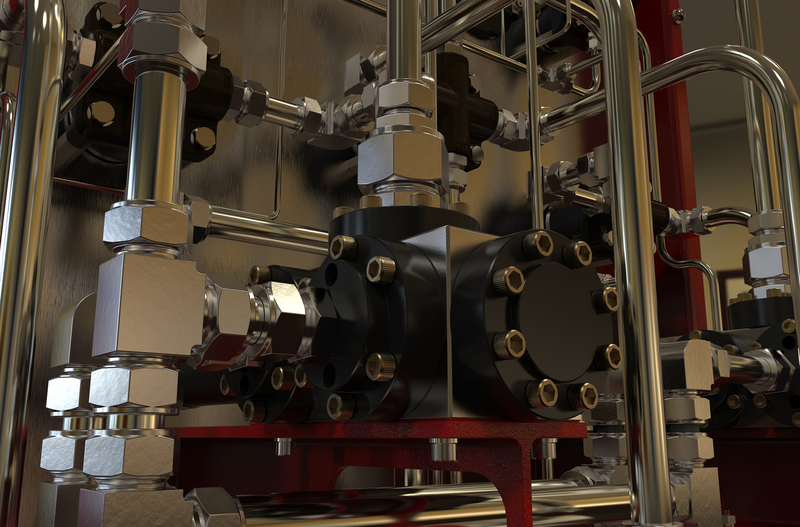 View other Subsea Company innovative products for other ways to improve your bottom line and improve performance and safety.